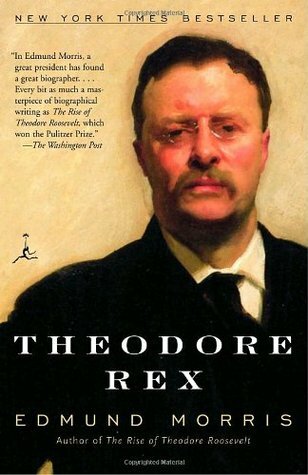 “Theodore Rex” is the second volume in Edmund Morris’s highly acclaimed three-volume biography of Theodore Roosevelt. The series’ inaugural volume debuted in 1979 but more than two decades elapsed before this second volume was published in 2001. Morris spent much of that time working on his now-infamous memoir of Ronald Reagan. “Theodore Rex” conveniently picks up where “The Rise of Theodore Roosevelt” left off – with Vice President Roosevelt receiving word of President McKinley’s imminent death and his inheritance of the presidency. The first forty pages cover his breathless dash from a remote cabin in the Adirondack Mountains to take the oath of office in Buffalo. 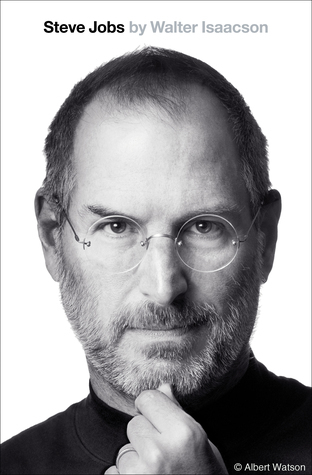 The remainder of this biography covers his almost eight-year presidency in extensive and attentive – if not uniformly fascinating – depth. Similar to its predecessor volume, “Theodore Rex” is unpretentious but erudite. It feels like a biography written by a keen observer of people, and events, rather than one authored by an ivory-tower academic. But readers who appreciate Morris’s reputation for careful research will not be disappointed. Countless letters, newspaper articles, diary entries and other sources are parsed in search of unique insights and critical observations. At times, its 555 pages are dense and detailed – and yet this volume lacks the heavy-handed scholastic impression that often accompanies a book with more than 160 pages of endnotes. And the author often allows Roosevelt’s own words to speak on his behalf, providing a sense the biography has tapped directly into the mind of this whirling dervish. Focused exclusively on Roosevelt’s presidency, “Theodore Rex” lacks much of the excitement and adventure of the first volume. But this is hardly surprising; the tedious grind of managing the nation’s affairs can hardly compete with the rambunctious exploits of Roosevelt’s intrepid youth and his early career. But Morris makes up for this lack of similarly-spirited raw material by refining his writing style. Where the first volume was often clunky and cumbersome, this installment is more elegant and sophisticated. Interminable sentences no longer punctuate each page and the author’s masterful talent for scene-setting has been perfected. Morris’s ability to capture a person’s essence in one or two paragraphs is breathtaking. Unfortunately, though, Morris falls short in fully covering Roosevelt’s family and other contemporaries. His wife and children make infrequent appearances and there is a relative lack of focus on important advisers (and adversaries) whose political or personal orbits intersected with his own. It almost seems as though TR proves such a commanding presence that no one else can be afforded much time on the stage. And although Morris provides a brief (and useful) glance at Roosevelt’s political legacy in the book’s final pages, a deeper and more satisfying discussion of his impact on the presidency is lacking. Or perhaps Theodore Roosevelt’s lasting impression on history is so self-evident it does not require elaboration? Overall, “Theodore Rex” is an admirable and satisfying successor to “The Rise of Theodore Roosevelt.” There is little doubt it lacks the drama and intensity of the first volume and is far more prone to dry, serious moments. But this second volume of Morris’s series performs a valuable service, providing an interesting and thoughtful historical narrative if not so much an interpretation of Theodore Roosevelt’s presidency.